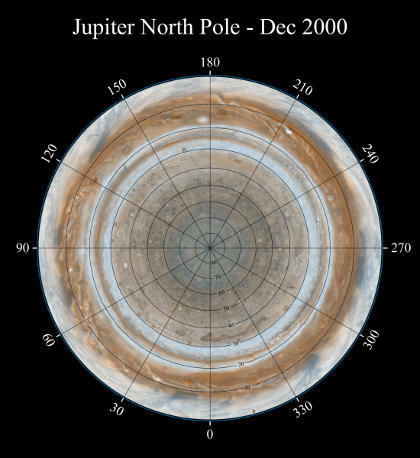 Cassini Orbiter spacecraft, which is a collaboration between NASA, the European Space Agency and Italian Space agency’s Cassini-Huygens mission, was used to come up with this composite view of Jupiter’s North Pole – while on its way to explore the planet Saturn and its moons. 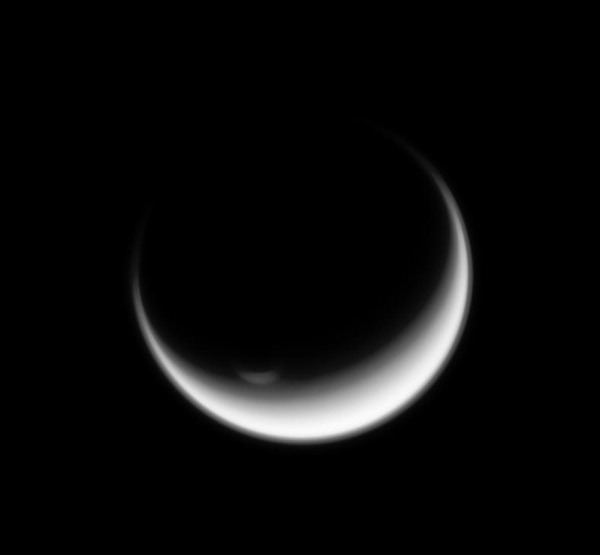 The onboard narrow-angle camera took numerous pictures over a period of two days in December 2000 and 36 of them were used to create this view, with a grid overlayed to divide the planet. The smallest visible features on this map are about 120 kilometers across and show a variety of colorful cloud features. The Great Red spot, the multi-coloured (red, brown and white) bands, and some small vortices are visible in this unique picture “looking down” on Jupiter.